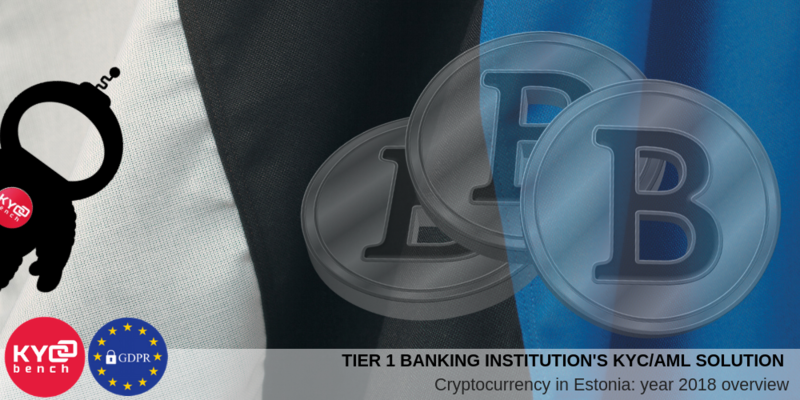 Almost one year has passed since the new Money Laundering and Terrorist Financing Prevention Act (MLTFPA) came into force introducing two types of licenses for cryptocurrency in Estonia. MLTFPA has helped businesses dealing with cryptocurrencies to understand whether they are required to apply for a license or whether they can operate without one. Estonia was the first country in the European Union that introduced such legislation. This fact led to a boom of international cryptocurrency exchange clients coming to Estonia to try to obtain licenses. Nearly a year after the new law came into force, close to 1000 licenses have been issued and several challenges have arisen. Now Estonia decided to tighten its licensing regime for cryptocurrency companies. The financial authorities in Tallinn want to introduce stricter regulations for fintech businesses registered in the Baltic country. The Ministry of Finance is currently preparing draft amendments to the country’s Anti-Money Laundering and Counterterrorist Financing Law, the local news outlet Äripäev reported. Obtaining cryptocurrency licenses is a relatively easy and fast process and the package of documents, which are required to be submitted, is minimal. But licensed company needs to strictly fulfill all the requirements provided in MLTFPA and one of the first requirements is set up of KYC/AML procedure. Estonia is one of several jurisdictions spearheading the adoption of crypto-friendly and compliance laws and rules in Europe, therefore KYCBench expects bright future of crypto regulations adoption not only in Estonia and Europe, but worldwide.